The process to appoint his successor involves an electoral assembly that comprises members of both houses of the Italian parliament, plus 58 additional electors from the country’s 20 regions — a total of 1,009 electors. Within 15 days, the group must hold its first vote, though it may only hold a maximum of two voter per day. For the first three ballots, a presidential candidate must win a two-thirds majority. On the fourth and successive ballots, however, a simple majority of 505 votes is sufficient. No one expects a new president to be elected on the first three ballots, though it’s possible if Renzi chooses a candidate amenable both to his own center-left Partito Democratico (PD, Democratic Party) and to Berlusconi and the center-right Forza Italia, with whom Renzi is working to reform Italy’s electoral law. It’s more likely, however, that the electors will use the first three ballots to test candidates in anticipation of the all-important fourth ballot. Moreover, Renzi (and Berlusconi) can count on Beppe Grillo’s protest group, the Movimento 5 Stelle (M5S, the Five Star Movement), to name its own presidential candidate. The movement, which still commands a vocal minority in the Italian parliament and nearly 20% support of the Italian electorate, according to many polls, backed legal scholar and former leftist parliamentarian Stefano Rodotà, who could also be in the running in 2015. No matter its candidate, the movement will be sure to contrast itself throughout the process as a more authentically democratic voice, dismissing both Renzi’s center-left and Berlusconi’s center-right as competing wings of an out-of-touch political elite. It’s hard to know exactly who will emerge from deliberations — it’s not even certain that the ultimate winner will be a contender during the first three ballots. Due to the nature of the presidential selection, behind-the-scenes conversations among Italian officials matter much more than speculation in the press, though several candidates have been mentioned as plausible successors. There are at least three political risks for Renzi. The first is that, by hugging the center, he might choose a candidate too far to the right and cause a rebellion within his own party, especially due to the secret ballot. Renzi is already something of a conservative within the Democratic Party, and the Italian left (and Italian unions) continue to view him with suspicion as he moves the Democratic Party more fully to the center. Pier Luigi Bersani, Renzi’s predecessor as the Democratic Party leader made this mistake in the 2013 presidential election, when he supported Franco Marini in the first round as a compromise candidate with the blessing of Berlusconi and the center-right. Many leftists balked at Marini’s candidacy, and it was the first of several disastrous maneuvers that ultimately cost Bersani the party leadership. The second risk is that, in choosing a more leftist candidate, Renzi will alienate Berlusconi, thereby damaging his painstakingly slow attempts to reform Italy’s electoral law and political institutions with widespread support from both the center-left and the center-right. That’s just one of four areas of reform — also including labor laws, public administration and taxation — that Renzi hopes to tackle as prime minister. An acrimonious fight with centrists could bring all of Renzi’s hard work to a halt, not only with Berlusconi, but smaller center-right allies, including the Nuovo Centrodestra (NCD, New Center-Right) of Angelino Alfano, former deputy prime minister; Scelta Civica (Civic Choice), a small group of reformist centrists once tied to Monti; and the Unione di Centro (UdC, Union of the Center), the successor to the once-dominant Christian Democrats led by Pier Ferdinando Casini. 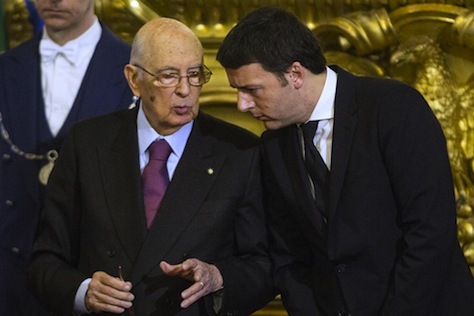 The final risk is that Renzi could appoint a figure with such an independent streak that the new president competes with Renzi to set Italy’s reform agenda. Moreover, though the Italian presidency is fairly ceremonial, the president has a wide amount of discretion with respect to the decision to call early elections. In the event that Renzi’s government falls or during post-election coalition talks, appointing the prime minister. The last thing Renzi wants is to lose control of the process if, in fact, he decides to push for elections at any point before 2018. Many figures have been named in both the Italian and international press, including both new names and at least a half-dozen or so usual suspects. As Renzi’s choice (or choices) become clearer in the next two weeks, it will tell us much about Renzi’s strengths, weaknesses, hopes and fears for the future of his own career, the direction of his party and Italian reforms. 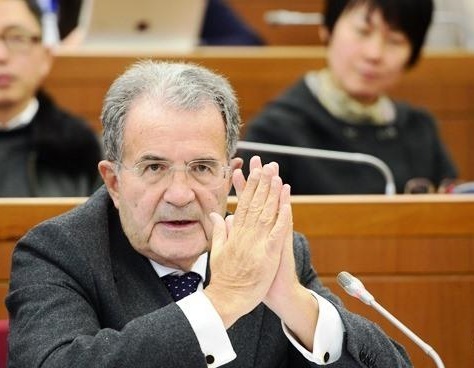 Romano Prodi, age 75, former European Commission president and former Italian prime minister. Bersani turned to Prodi as a candidate in the 2013 election on the fourth ballot, but it resulted in a humiliating failure for both Bersani and Prodi. A mild-mannered professor and long-time figure on the Italian left, Prodi is not exactly one of Renzi’s chief allies and he would be scrupulously independent as president. Moreover, Berlusconi dislikes him intensely (Prodi defeated Berlusconi in the 2006 election). Still, Renzi met with Prodi for two hours earlier this week, and his relations with European leaders are as strong as anyone’s. Photo credit to Daniele Badolato / LaPresse. 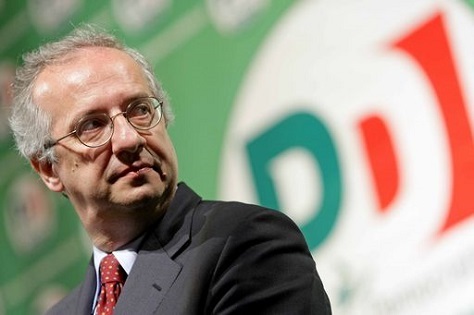 Walter Veltroni, age 55, former Rome mayor and the first leader of the Democratic Party upon its creation in 2007 as a merger of former Communists and Christian Democrats alike. Veltroni, who once officiated George Clooney’s wedding, could emerge as a likeable compromise candidate for both the center-right and the left. Though he fell short in his attempt to defeat Berlusconi in the 2008 national elections, Veltroni is generally well-regarded by all factions of the Democratic Party. Mario Draghi, age 67, president of the European Central Bank and former Bank of Italy president. Though Draghi has indicated he may not stay on much longer at the ECB, he has also shown disdain for becoming a politician. 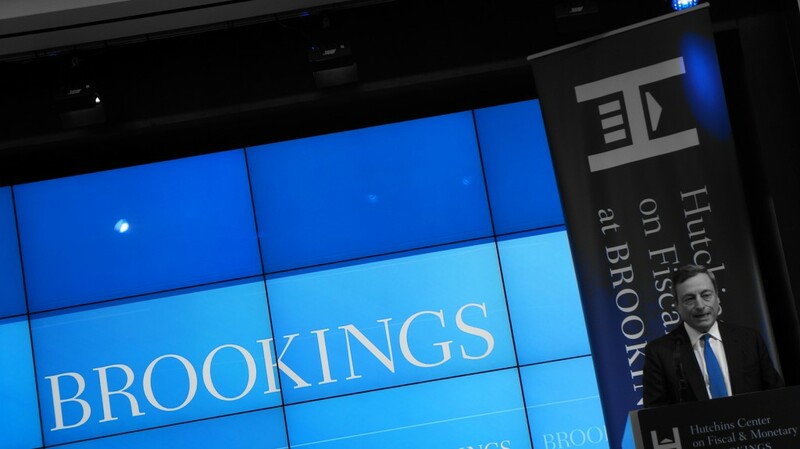 No one’s appointment as president, however, would bring more symbolic commitment to the reform process, and Draghi would bring buckets of instant credibility to Italy among investors and policymakers alike. Photo credit to Michael Wuertenberg / World Economic Forum. 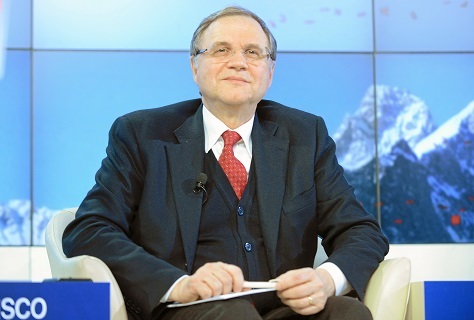 Ignazio Visco, age 65, current president of the Bank of Italy. 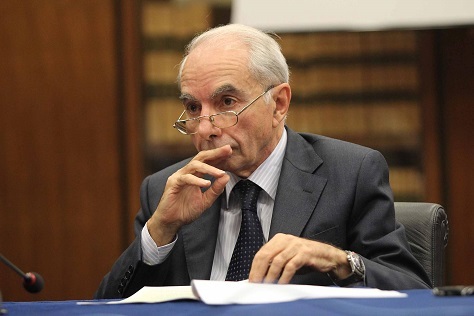 Napolitano’s predecessor, Carlo Azeglio Ciampi, was also a former central banker, so there’s strong precedent for bringing a non-partisan official like Visco to the Quirinale. Think of him as a kind of alternative to a Draghi candidacy. 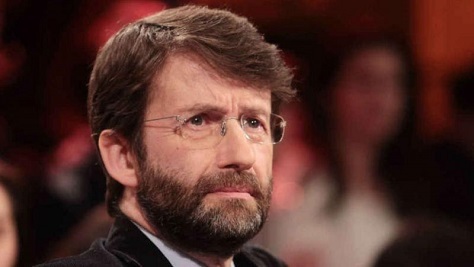 Dario Franceschini, age 56, culture minister since last February and former Democratic Party general secretary. Franceschini served as Veltroni’s deputy between 2007 and 2009, so think of him as a kind of alternative to a Veltroni candidacy. 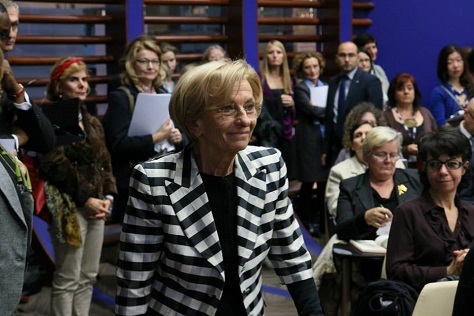 Emma Bonino, age 66, former foreign minister. When Renzi took over as prime minister from Enrico Letta, his technocratic colleague within the Democratic Party, one of his most surprising moves was to replace Bonino as foreign minister with Federica Mogherini (who now serves as the European Commission’s foreign policy chief). Short of Draghi, no one would bring more international credibility to the presidency than Bonino, a longtime member of the Radicali Italiani (Italian Radical Party), a good-government centrist group. She also has decades of experience in international human rights, including a stint at the United Nations. One issue is her recent diagnosis of lung cancer, which could preclude a presidential bid. Photo credit to Claudio Bernardi/LaPresse. Giuliano Amato, age 76, former prime minister. Amato has been mentioned as a potential presidential candidate since the 1990s. A smooth operator with roots in the former Italian Socialist Party, he played an important role in the governments of the 1980s during the reign of the late prime minister Bettino Craxi and, accordingly, has ties to the Italian political elite largely discredited in 1993 and 1994 over a series of scandals. While he would be acceptable to Berlusconi, his selection would contrast sharply with Renzi’s attempt to turn to a new generation of leadership. Photo credit to Yoan Valat/ANSA. Pier Carlo Padoan, age 64, finance minister. 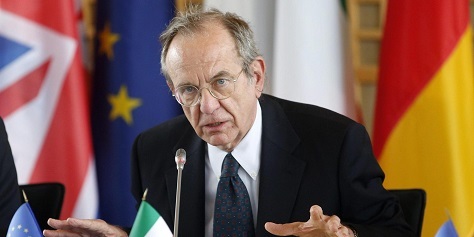 A political independent, Renzi tapped Padoan, a left-leaning economist, as his finance minister last year. Any number of other candidates have been mentioned as well, including former PD leader Bersani; Berlusconi himself; the UdC’s Casini; Turin mayor Piero Fassino; defense minister Roberta Pinotti; and the Democratic Party’s leader in the Italian Senate, Anna Finocchiaro.